Ever since Rancid and NOFX released their split back in 2002, one of my favorite trends in the punk world has been split 7″ records where both bands cover each other for at least one track. Other examples include Touché Amoré and Title Fight’s 2013 split, Rise Against’s split with Face To Face from 2011, Boysetsfire and Funeral For a Friend’s from last year, and the upcoming split EP from Senses Fail and Man Overboard. 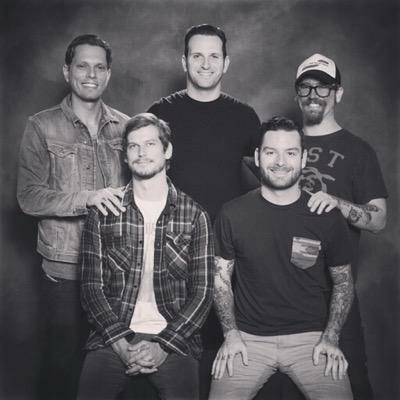 Today, Senses Fail have released their rendition of Man Overboard’s “Real Talk,” the opening track from their 2010 album of the same name. Buddy Neilsen has reemployed his clean, pop-punk voice that you may remember from the band’s older material like Still Searching, while interlacing the track with screams that draw to mind the style of music that makes up their recent output, including Renacer. The band clearly had a great time recording this cover and the results are surprisingly great. Check out Senses Fail’s cover of “Real Talk” below. Pre-order the split here.